This is a genuine original and brand new blue UK 'Non Flourescent' inkjet ink cartridge. 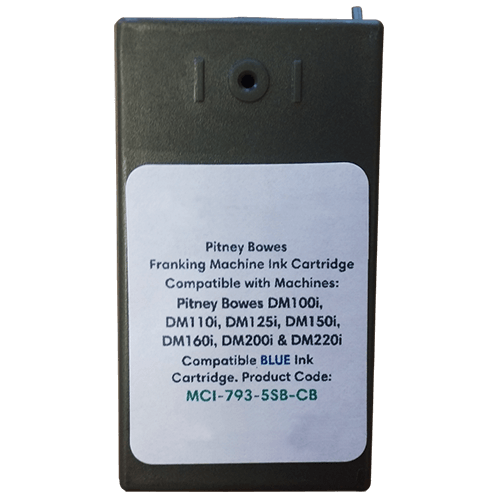 It contains original ink and is a replacement for your current Pitney Bowes DM160i & DM220i cartridge. This product comes directly from the original manufacturer Pitney Bowes. 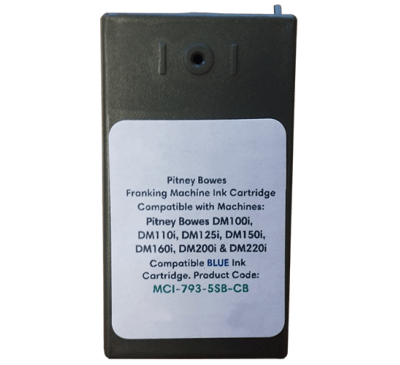 With this original Pitney Bowes DM160i & DM220i ink cartridge you’ll ensure the best performance and reliability from your DM160i franking machine and DM220i franking machine. As an authorised Pitney Bowes distributor, for Pitney Bowes Franking Machine Supplies we guarantee this cartridge will not invalidate your franking machines warranty / service agreement and will give the same amount of impressions as a cartridge purchased from Pitney Bowes. Green Franking will guarantee that this ink cartridge is an original equipment manufacturers cartridge.